An acoustic piano with volume control, or a digital piano with strings? Yamaha's latest development stretches the imagination and opens up a whole new world of possibilities. 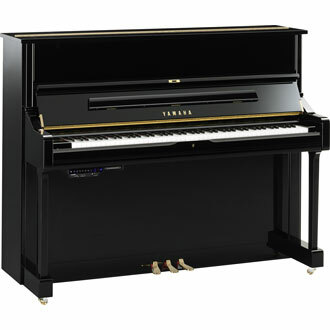 The TransAcoustic Piano introduces a new way for piano players to emotionally connect with their instrument. The touch of the keys, the embodiment of sound, the resonance of strings; TransAcoustic Technology enhances the playing experience by using all elements of the acoustic piano to augment and amplify non-acoustic sounds. This means that any sound can be delivered through this naturally resonant piano.